Maureen Wilson started Sweat Co. in 1984 and things have changed a lot since those early days. 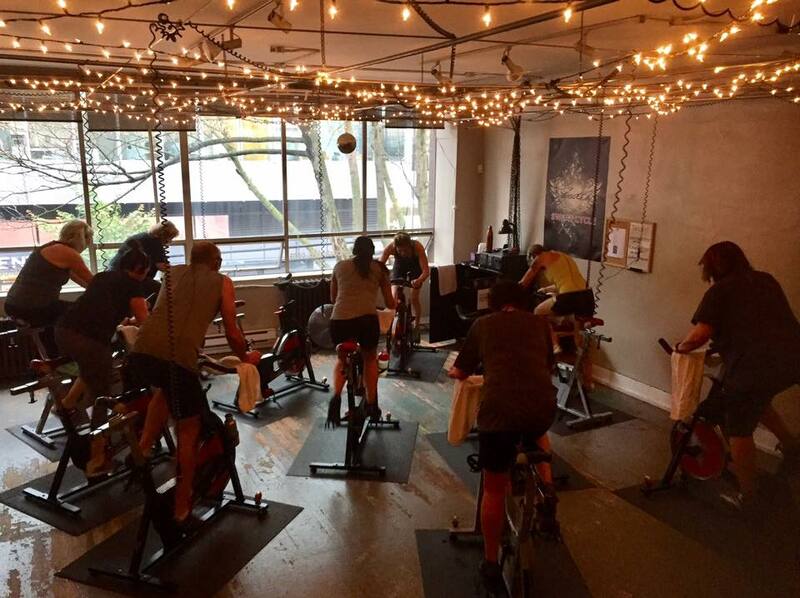 For starters, aerobics isn't the Jane Fonda workout fad it was in those days, and Sweat Co. now finds itself nestled in amongst Vancouver’s tall modern glass towers. One thing hasn't changed though, and that's Maureen's commitment to creating a welcoming, relaxed environment where people can workout with trusted leaders in fitness, who want to see you succeed. Walking through Sweat Co.'s heavy wooden and stain-glassed door you know right away that this studio is not going to be a typical gym experience. In place of bright lights and thumping music, an ornate chandelier hangs in the foyer, and there's a notable absence of protein supplements lining the walls. As you walk through the studio’s rooms of exposed brick, French doors and wood floors, it comes as no surprise to learn that Maureen has a background in dance. "The physical space is really important, it helps us bring our philosophy of creating a relaxed environment to life, a space where people of all fitness levels feel comfortable," notes Maureen who has strived to make Sweat Co. feel more like a New York loft than a traditional gym. My approach to fitness has always been about taking care of what you have, and enjoying the process of improving. Over the years Maureen has added in classes and techniques that she truly believes will help improve her clients' fitness. "We have some of the best trainers in town at Sweat Co., and it's important to me that everyone who works here can recommend a new technique or a new class like Pilates to their clients, and have no one feel like they're just being sold on the latest trend." 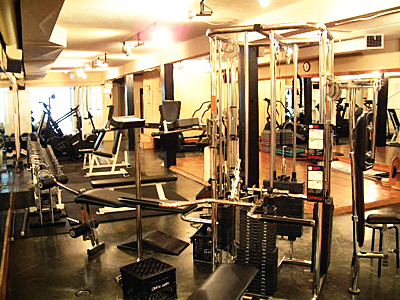 In addition to a large weight and cardio training room for personal sessions, Sweat Co. offers cardio and strength group classes, spinning and Pilates. 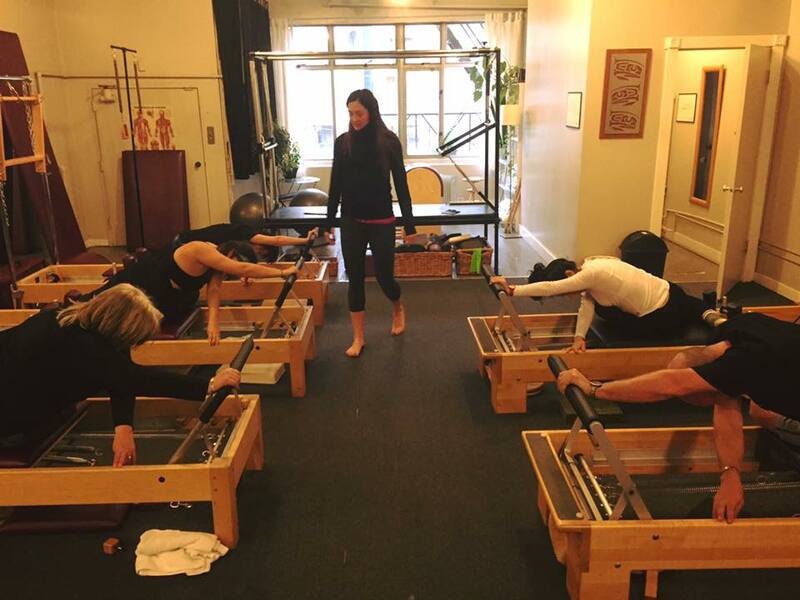 Their Pilates room is a full apparatus studio with expert instructors. 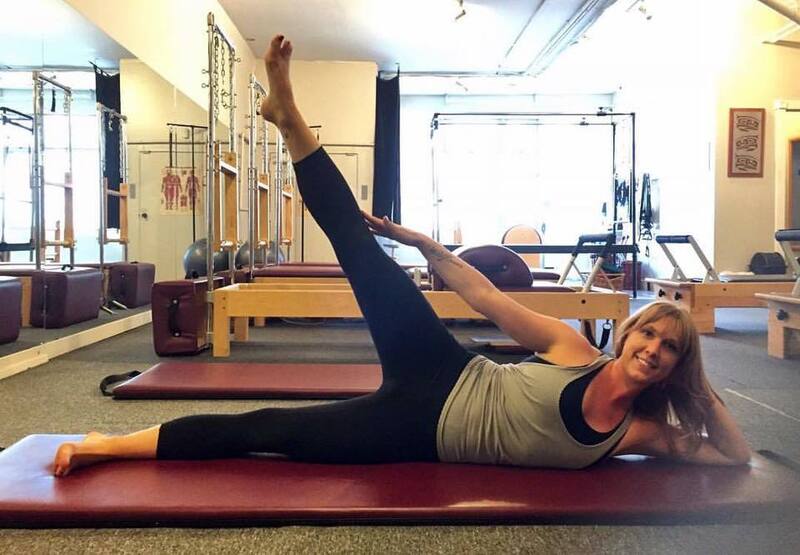 "Pilates’ background is more grounded in dance, like my own," says Maureen, "but it's being used now by everyone from high performance athletes to regular people who want to strengthen their core and help prevent injury. 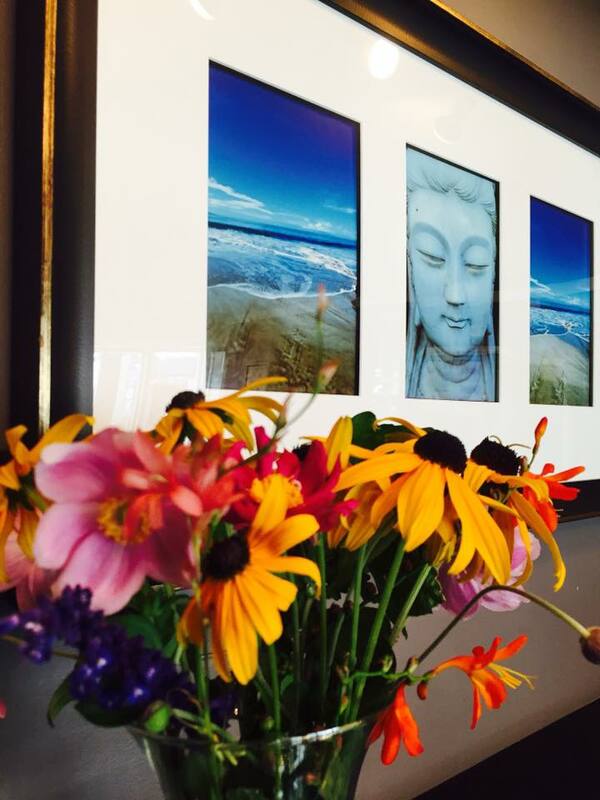 It's been a great addition to the studio." Less focused on attaining some ideal fitness goal, Maureen and her staff are far more focused on the journey when it comes to fitness. "My approach to fitness has always been about taking care of what you have, and enjoying the process of improving," says Maureen. "You won't come here and have anyone tell you to go on a diet or that you must do fitness one particular way." In an ever-changing and trend-driven industry, Maureen's longevity in the business may come from her desire to build trust and long-term relationships with Sweat Co.'s clients rather than getting people in the door for the latest craze. Maureen clearly loves what she does and she's been rewarded time and again for her enthusiasm and approach. 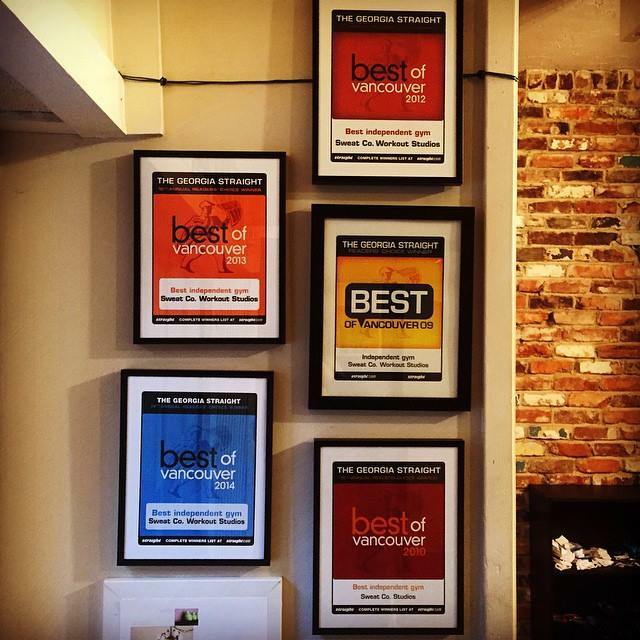 A regular winner of City's Best awards for the best independent gym, Sweat Co.'s patrons are a loyal bunch who love to share their enthusiasm for the space and the staff. At the end of the day, I really want people to feel happy about what they're doing when they come here," beams Maureen with enthusiasm. In an industry often known for making people feel worse about themselves, it may be this commitment to happiness that has been the true key to Sweat Co.'s success.